Pallets are indispensable to manufacturers, warehouses and distribution centers in the U.S. and around the world. Operations using pallets have much lower costs for handling and storage. 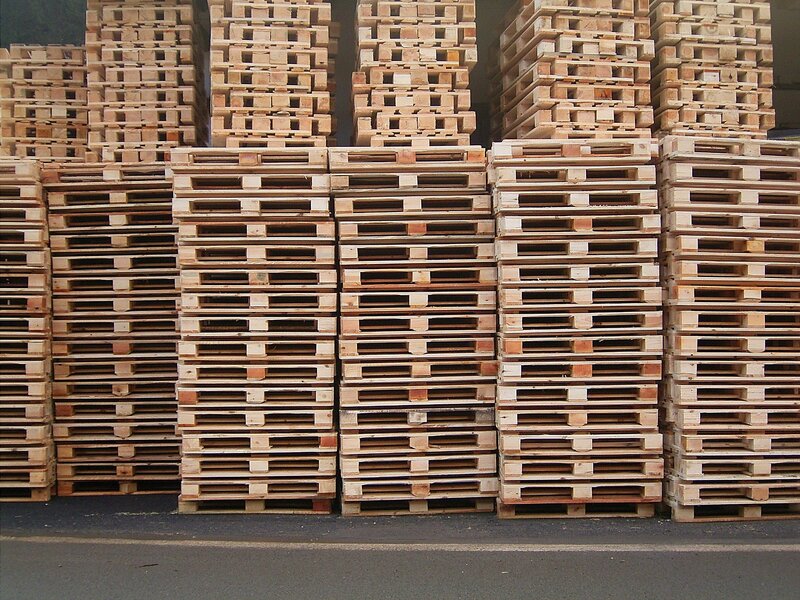 There are six times as many pallets as people in the United States today. Most pallets are constructed of wood, but corrugated materials and plastics are used as well. 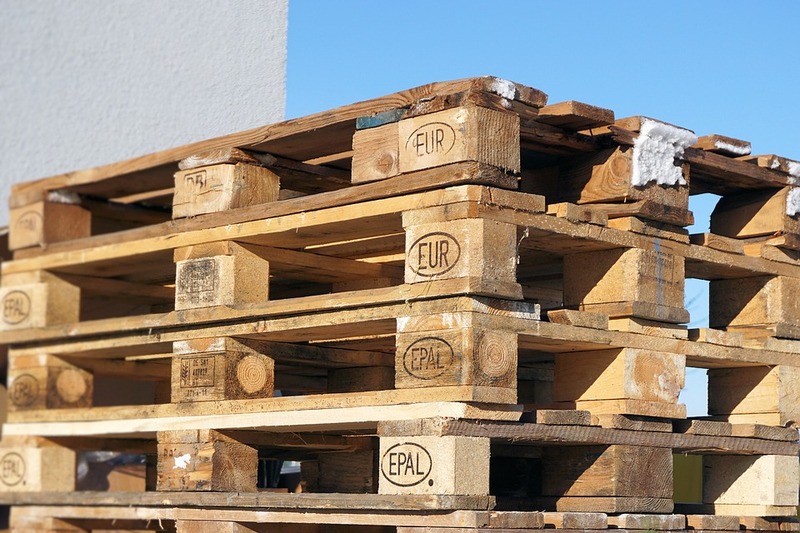 With the heavy demand for pallets, a recent study shows that 95 percent of them are recycled. Most pallets in the U.S. are domestically distributed, but wood pallets destined for international travel are specially treated with heat or chemicals to prevent the spread of disease or insects, according to standards specified in ISPM 15. 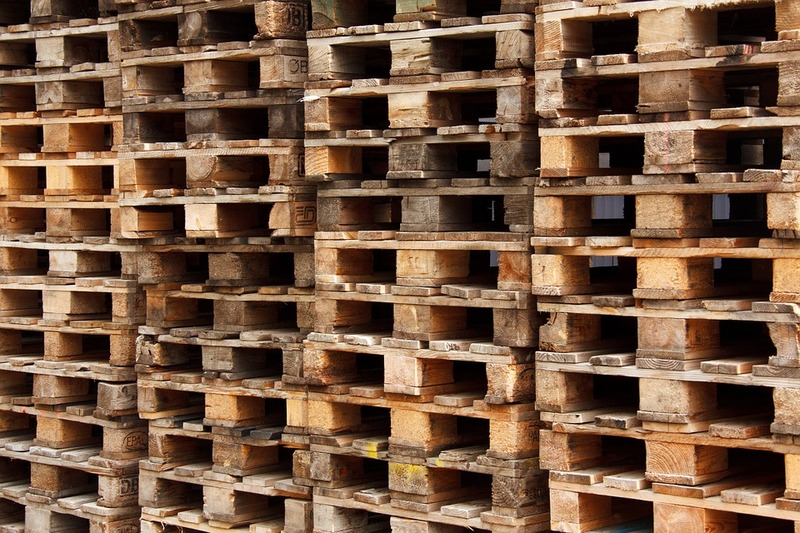 At first glance, pallets might seem a simple technology, software has been created to optimize their design. Specifications included in computations include load capacity, performance and the quantity of materials required. According to a recent IndustryNet report on 1,637 pallet companies, the number of jobs in the industry have grown from 28,358 to 29,563, an increase of 4.25 percent, in the past year. Sales over the same period have also increased, from $4.44 billion to $4.54 billion, or 2.36 percent. Most U.S. pallet businesses are found in the Midwest (648 companies, or 40 percent) and the South (544 companies, or 33 percent). About 14 percent (229) are in the Northeast, and the remaining 13 percent (216) are in the West. The number of pallet companies reporting growth in employment or sales shows a similar but not identical pattern, with 47 percent in the Midwest, 26 percent in the South, 14 percent in the West and 12 percent in the Northeast. Each of the top 10 pallet companies either by the number of employees or growth has its own specific strategy or product line. These range from additional services offered, to a concentration on green distribution systems. The following profiles highlight the factors contributing to the success of these businesses in serving their customers. With 700 employees located in Orlando, Florida, CHEP Recycled Pallet Solutions LLC, offers both wood and plastic pallets. CHEP, which stands for Commonwealth Handling Equipment Pool, evolved from an Australian organization developed during World War II for efficient handling of defense supplies. It operates in 45 countries and is a significant supplier to the U.S. Navy. The 600 employees of Tarter Farm & Ranch Equipment in Dunnville, Kentucky, serve the needs of farmers and ranchers. All the products of the company, which was founded in 1945, are made in the United States. In addition to providing wooden pallets, the 600 employees of the Mississippi Dept. of Rehabilitation Services in Madison, Mississippi are dedicated to helping persons with disabilities achieve independence. Through the services they offer, they create a viable labor pool. Their partnerships with business allow them to find placements for the most qualified candidates available. Battle Lumber Co. Inc. in Wadley, Georgia, produces 70,000 wooden pallets per week. Its 350 employees supply products to 19 countries. The company has been at the forefront of the timber industry since 1962. Performance Pallet Corp., with 350 employees at its Seymour, Wisconsin, headquarters, manufactures wooden pallets. It both designs and hand-assembles custom pallets. It also has automated manufacturing and repair lines. Performance's reclamation system provides them with a constant supply of recycled lumber. Richland Newhope Industries Inc., in Mansfield, Ohio, supplies wooden pallets. This company employs 350, primarily individuals with disabilities. It also provides ISPM 15 certified heat treatment services. Richland Newhope serves nearly 200 local and out-of-state customers. Goodwill Industries of the Valleys Inc., in Roanoke, Virginia, deals in heat-treated pallets. This location employs 300 persons. Established to enable the independence of individuals with disabilities, Goodwill offers outsourcing solutions for employers, providing both products and services. Goodwill Industries of the Valleys Inc., Western Div., provides 300 jobs in Radford, Virginia. Like its sister Roanoke facility, it provides businesses with wooden pallets. This division also has 300 employees. Elberta Crate and Box Co. Inc. was founded in 1905. Its 250 employees in Bainbridge, Georgia, serve the needs of the agricultural industry. The company provides wooden pallets, crates and boxes. Cedar Valley Services Inc. is located in Austin, Minnesota. The organization helps those with disabilities find employment in a variety of ways, including the assembly of wooden pallets. There are 250 employees on-site. Pallet Logistics of America is located in Dallas, Texas, with a sister site in Oklahoma City, Oklahoma. The Dallas facility has grown to employ 240 people. The company specializes in wooden pallets. Greystone Mfg. LLC, in Bettendorf, Iowa, also known as Greystone Logistics, manufactures, leases and sells plastic pallets. In deference to sustainability, the pallets are constructed of recycled materials. Its 160 employees serve industrial, agricultural, food processing and beverage companies worldwide. Cabka North America, in Hazelwood, Missouri, manufactures and sells pallets and pallet boxes made of recycled plastic. The facility is ISO 9001 and ISO 50001 certified. Cabka tests its pallets for load capacity per ISO 8611. There are 150 employees on-site. A-One Pallet Distribution Inc., located in Florence, Kentucky, is an active member of the National Wooden Container and Pallet Association. It sells wooden pallets made by its 125 employees. The 115 employees of M & H Crates Inc.. in Jacksonville, Texas build both custom and standard pallets. The company also offers heat-treated pallets. It primarily serves the food, chemical, medical and oil field industries. Anderson Forest Products Inc., in Tompkinsville, Kentucky, sells wooden pallets and other wood and plastic products. This company has a full shipping fleet. It employs 108 workers. Gorgo Pallet Co., in Vineland, New Jersey, is the largest pallet recycler serving Greater Philadelphia. It services most of the Fortune 500 companies in its area including manufacturers, importers and food distribution centers. The company has a workforce of 100. The Pallet Factory Inc., in Memphis, Tennessee, has been producing customized pallet products for almost 40 years. The company offers new, used and recycled supplies. It both manufactures and heat treats pallets and employs 100 people at its Memphis facility. Badger Custom Pallet Inc., in Fall River, Wisconsin, employs pallet design software in its pallet construction. It offers just in time delivery and consignment programs. Badger provides 100 jobs. Selma Pallet, Inc., in Selma, California, manufactures wood pallets. Pallets are designed to fit customer needs using pallet design software. Selma also offers return and repair programs. It employs 90 people. IndustryNet maintains up-to-date information on over 400,000 manufacturers and suppliers of more than 10,000 types of products and services. Companies are profiled by both capabilities and geographic area. A free search of this online resource will yield a list of the most conveniently located pallet companies to meet the specific requirements of a business. Related Companies: 48forty Solutions, LLC, Anderson Forest Products, Inc., A-One Pallet Distribution, Inc., Badger Custom Pallet Inc., Battle Lumber Co., Inc., Cabka North America, Cedar Valley Services, Inc., Elberta Crate & Box Co., Inc., Goodwill Industries Of The Valleys, Inc., Goodwill Industries Of The Valleys, Inc., Western Div., Gorgo Pallet Co., Greystone Mfg., LLC, M & H Crates, Inc., Pallet Logistics Of America, Performance Pallet Corp., Richland Newhope Industries, Inc., Selma Pallet, Inc., Tarter Farm & Ranch Equipment, The Pallet Factory, Inc.